Shaquille O’Neal, former NBA superstar, may be even more talented on TV than he was on the basketball court. Well, better than he was shooting free throws, at least. Some of the 7-foot-1 giant’s latest television work includes being the host of "Hall of Game," a sports award show on the Cartoon Network. 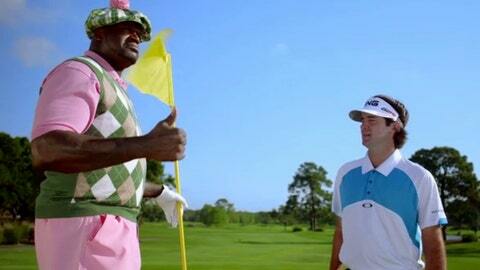 Yet, as part of his ongoing work with the network, he recently shot a "Shaq’s Got Next" segment with Bubba Watson. There aren’t many people who can make the 6-3 Watson look small on a golf course, but Shaq’s one of them.